We weren't planning on adopting another dog. I had my hands full with Griffey, our then 8-month old puppy, when my phone rang on a beautiful Friday afternoon. "Laura, I need your help." It was a good friend who worked at our local animal shelter. She told me about a dog, also 8 months old, that had just come to the shelter after being rescued from a terrible situation where he had lived outdoors. He was covered in ticks and terrified. "He really needs to spend the weekend in a foster home. I think Griffey would love him. Can you take him for the weekend?" I picked him up from the shelter and had to carry him into our house. The poor guy had never been inside a home, had never gone up or down stairs, and had never walked on a leash. I took him out to our backyard, where I thought he'd be more comfortable, to meet Griffey. Their eyes met. They sniffed each other cautiously. Then their bodies relaxed, tails started wagging, and they took off across the yard in a playful romp. The terrified dog came alive with his new friend, and when they fell asleep together in the same bed that night we knew we were adopting a second dog. 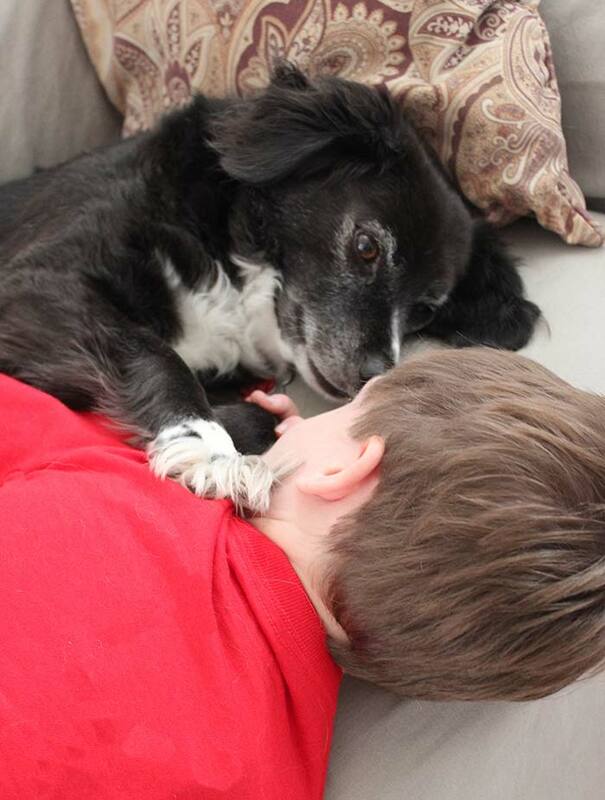 In no time, Grady blossomed into the most loving and gentle dog I'd ever known. He quickly learned what it was like to be part of a family, with a real home (and bed) of his own. And it didn't take long for us to realize what amazing things he could do for our family too. Grady made an immediate difference in our family by giving Griffey a best friend and companion. He helped the very active Griffey become more calm and relaxed, taking the lead from his mellow new friend. I soon realized that Grady's gentle temperament and sweet personality could do great things outside our home as well. He began volunteering with me to visit nursing home residents. 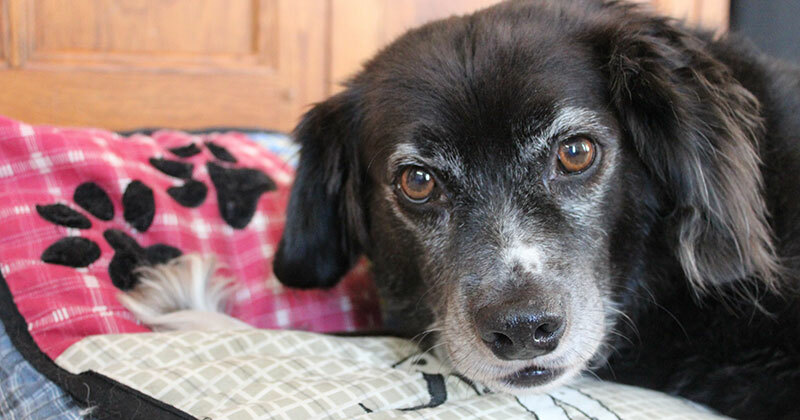 Grady touched so many lives during his volunteer time just by being a calm, quiet friend to lonely seniors who could no longer have dogs of their own. And all by just being himself. A calm presence when they are feeling overwhelmed by big emotions. An ear when they are learning to sound out words in books. A soft friend to snuggle when they need to rest. A pal who is always willing to play Robin to their Batman and Joker. A constant companion and friend. I'm constantly in awe of the ways that our dogs make our family and our lives better every day. 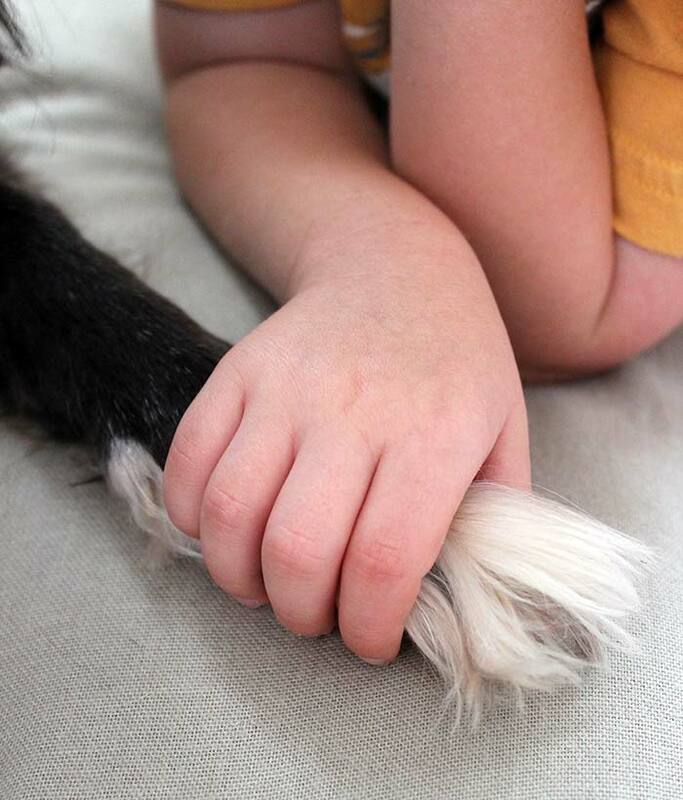 Dogs are more than just pets, they are members of our family who are there when we need them, who remind us we are not alone, and who take us on incredible journeys. They calm us and heal us, make us laugh and keep us active. We like to treat Griffey and Grady with a Milk-Bone every morning, and this year Milk-Bone is marking a very special milestone. Milk-Bone is celebrating its 20th Anniversary with Canine Assistants, a non-profit organization that provides and trains service dogs for children and adults with special needs and physical disabilities. This work is incredible and truly inspiring. See for yourself with some of the amazing stories of dogs and pet parents that have been helped by the program over the years. (Grab a tissue, this is GOOD). I would love to hear how your dog has transformed your family. Leave a comment with your story below or share with me on Facebook. Milk-Bone is inspired to do more, just like our dogs are always more. 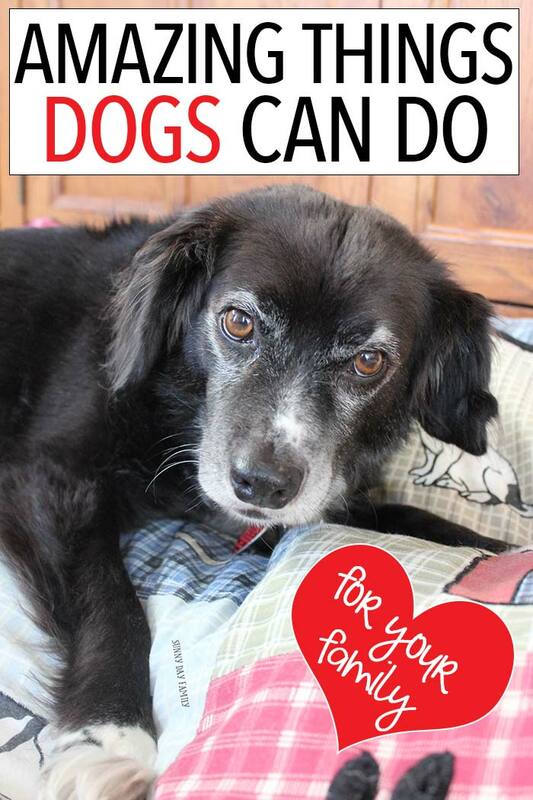 Click here to visit Milk-Bone and be inspired too.